Are you a Mechanical Engineering major? Electrical Engineering major? Looking for a summer internship? There is hope for you, just talk to Shannon Stovar! Shannon Stovar is a senior Mechanical Engineering major at Grove City College. She is from Butler, Pa. and the first person in her family to attend Grove City College. Shannon was one of my three ‘random’ freshmen roommates and has stayed a close friend of mine throughout college. During our sophomore year, Shannon was looking for an engineering summer internship, and I knew just the person she should talk to. I immediately called my dad, Rich Bartek, who at the time was the vice president and COO of the manufacturing company, Oberg Industries. He worked there for about 14 years and loved to hire Grove City College students as interns and employees. 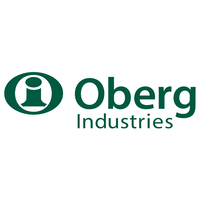 Oberg is headquartered in Freeport, Pa., which is only about a 25-minute commute from Shannon’s hometown of Butler. My dad and I both knew Shannon was a hard worker and fast learner and he was more than happy to help her. Shortly after, Shannon applied for Oberg Industries’ mechanical engineering internship and got an offer for the summer! Shannon excelled that summer at Oberg Industries and outshined the other interns. Oberg ended up offering her another internship for the following summer, after her junior year. She gladly accepted. “I assisted the design engineers in a variety of tasks along with helping in other areas of the company like die maintenance and quality control. I developed 3D models and drawings for customer parts and tooling. I worked on quite a few independent projects where I was given a problem such as a component in a machine that had broken and had to come up with a solution to fix the issue,” Shannon explained to me when I asked about what she did both summers. Shannon received a full-time job offer from the company this past August. Oberg was gracious and gave her roughly six months to decide if she would like to take the offer. She had obviously proven herself very worthy over the course of her two summers there. Shannon is giving herself some time to decide and taking other options into consideration as the halfway mark of her senior year quickly approaches. This is just another example of how connections within the Grove City College community can give you great opportunities. Students need to continue to persevere and form relationships during their four years because you never know where they will land you.